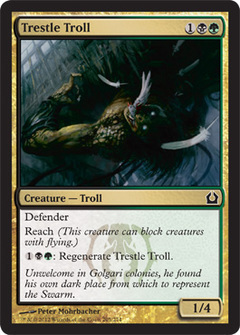 Worldspine Wurm ($10.26) Price History from major stores - Return to Ravnica - MTGPrice.com Values for Ebay, Amazon and hobby stores! 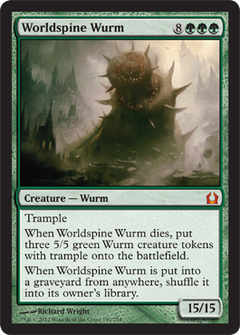 Card Text: Trample When Worldspine Wurm dies, put three 5/5 green Wurm creature tokens with trample onto the battlefield. 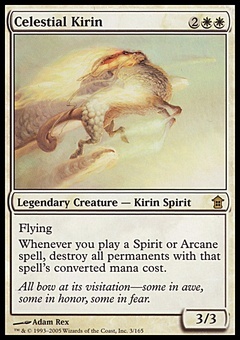 When Worldspine Wurm is put into a graveyard from anywhere, shuffle it into its owner's library.